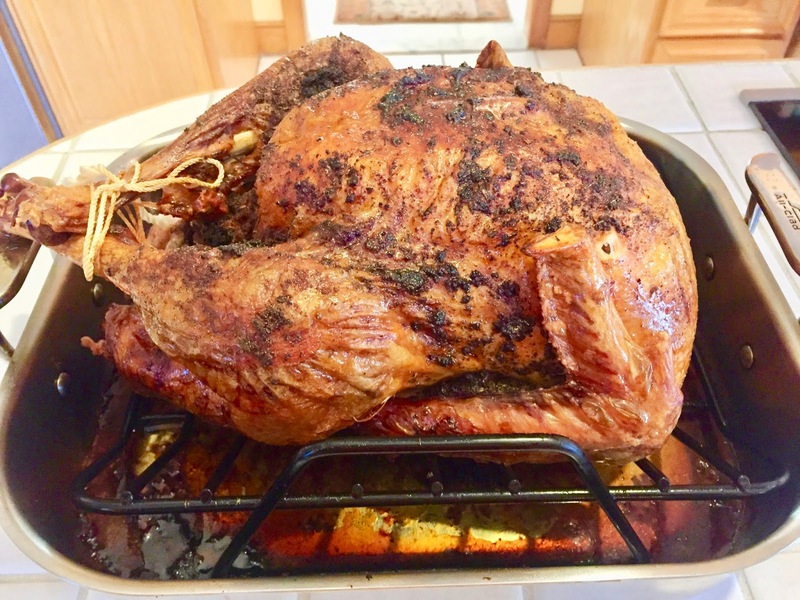 I learned at a young age how to handle and prepare poultry from my mother, an outstanding cook – her turkey is far superior to any that I have tasted. My mother taught me to soak turkey over night in a bath of salt to tender and remove harmful bacteria. First my mother would freeze a fresh turkey, she believes it seals in the flavor. Then time to soak the frozen turkey over night. Next through rinsing, draining and patting dry of the bird. 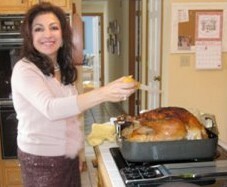 I love rituals so my mothers holds a special pace in my turkey preparation. I’ve bought fresh turkey from the farm, from high end and frozen from lower end grocery store. My only hard fast rule is all natural. How you dress and cook the turkey plays an import part in how good your turkey taste. Preheat oven to 325 degrees F (165 degrees C). Place rack in the lowest position of the oven. Remove the turkey neck and giblets, rinse the turkey, and pat dry with paper towels. Place the turkey, breast side up, on a rack in the roasting pan. Loosely fill the body cavity with stuffing. Rub the skin with the softened butter, and season with salt and pepper. Position an aluminum foil tent over the turkey. Place turkey in the oven, and pour 2 cups turkey stock into the bottom of the roasting pan. Baste all over every 30 minutes with the juices on the bottom of the pan. Whenever the drippings evaporate, add stock to moisten them, about 1 to 2 cups at a time. Remove aluminum foil after 2 1/2 hours. Roast until a meat thermometer inserted in the meaty part of the thigh reads 165 degrees F (75 degrees C), about 4 hours. Gradually add the hot broth to the roux, whisking constantly to prevent lumps. Bring to a boil, then reduce the heat to medium low. Pour the dark roasting juices from the degreasing cup into the gravy, discarding any remaining fat. If desired, chop the giblets and shred the neck meat; add to the gravy. Simmer, whisking occasionally, until the gravy thickens, about 10 minutes. Add the Worcestershire sauce and season with salt and pepper.